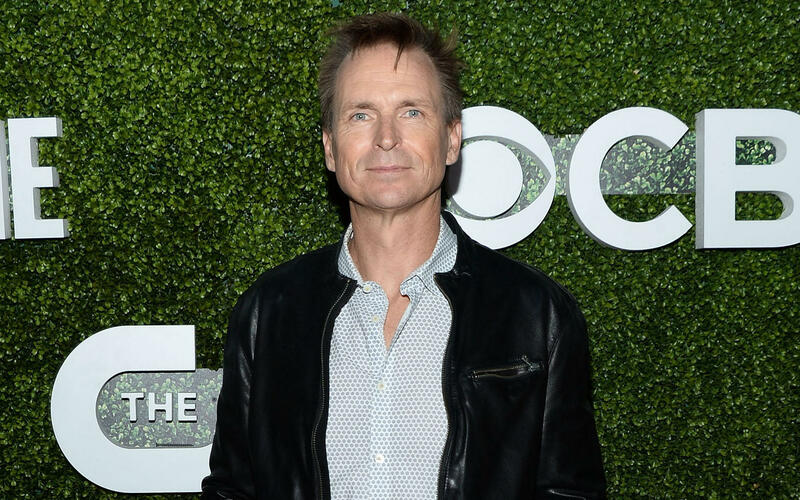 "Amazing Race" host Phil Keoghan is ready for anything on "Earth Live"
Before he gets to work on hosting the 30th edition of "The Amazing Race," Phil Keoghan is taking on a different task: co-hosting National Geographic's "Earth Live" event on Sunday. The live television special -- co-hosted by Keoghan and Jane Lynch -- will connect with wildlife specialists in the field all over the world using state-of-the-art digital cameras to document animals live on television, from hyenas in Ethiopia and lions in Kenya to ocelots in Brazil and sharks in Fiji. It's a lot for a pair of hosts to juggle, but Keoghan told CBS News he's up for the challenge. How do you explain this show to people when they ask you about it? It's a bold attempt at trying to bring wildlife to the world live, something that hasn't been attempted before. So it's new and different, and it is definitely audacious. Does the live aspect of the show make you nervous? Absolutely. Well, nervous in a good way because it's live TV, and live TV is always exciting. You're just holding on for dear life. There's nowhere to hide. You're stuck with what's going on in the moment. You don't know what's going to unfold. There's a tremendous amount of promise, but there's a tremendous amount of risk as well. As far as what's going to happen, we really can't be sure. We've got all this potential energy, but we don't know how it will manifest itself kinetically. So what happens Sunday night if, for instance, the hyenas don't cooperate? Well, they're not under contract to us, so we can't pull a contract a point out a particular clause about having to cooperate. And we have no voting power in their animal actors union, so they really are in charge of what happens. If the hyenas, for whatever reason, wanted to go on strike and present themselves as sleeping hyenas in the middle of the night, that's what we'll get. There's nothing we can do about that. Anthony Anderson talks tackling current events on "Black-ish"
There are lots of variables, but we think that with the mix of animals that we have, the talent that we have -- some of the best wildlife experts in the world -- we have the right ingredients to put together a really interesting live show. If we cut to the hyenas and the hyenas are not wanting to show off in that moment, we'll go somewhere else. We'll say, "All right, hyenas. Want to chill? Want to relax? That's fine. We're going to go feed some sharks now in Fiji." The good thing about sharks is they never sleep, right? So they keep moving. Are you looking forward to embarking on Season 30 of "The Amazing Race"? The only thing I can really tell you at this point is just how excited we are that we get an opportunity to come back and do it again. We obviously didn't make the fall schedule last year, we shot our last one last year, so we just weren't sure about the future. We're just so excited, and it's really the fans who have helped bring this show back online. We've got lots of ideas that we're discussing -- new locations and some new countries that are on the list, a new interesting route -- and I think the show is more relevant now than it's ever been, just because now more than ever we need to reach out into the world and connect with the world. The fact that we get to show the world in a positive light on network television is a privilege. "Earth Live" airs Sunday at 8 p.m. ET/5 p.m. PT on NatGeo.